Watermark is a feature documentary from multiple-award winning filmmakers Jennifer Baichwal and Nick de Pencier, and renowned photographer Edward Burtynsky, marking their second collaboration after Manufactured Landscapes in 2006. The film brings together diverse stories from around the globe about our relationship with water: how we are drawn to it, what we learn from it, how we use it and the consequences of that use. We see massive floating abalone farms off China’s Fujian coast and the construction site of the biggest arch dam in the world – the Xiluodu, six times the size of the Hoover. We visit the barren desert delta where the mighty Colorado River no longer reaches the ocean, and the water-intensive leather tanneries of Dhaka. We witness how humans are drawn to water, from the U.S. Open of Surfing in Huntington Beach to the Kumbh Mela in Allahabad, where thirty million people gather for a sacred bath in the Ganges at the same time. We speak with scientists who drill ice cores two kilometers deep into the Greenland Ice Sheet, and explore the sublime pristine watershed of northern British Columbia. 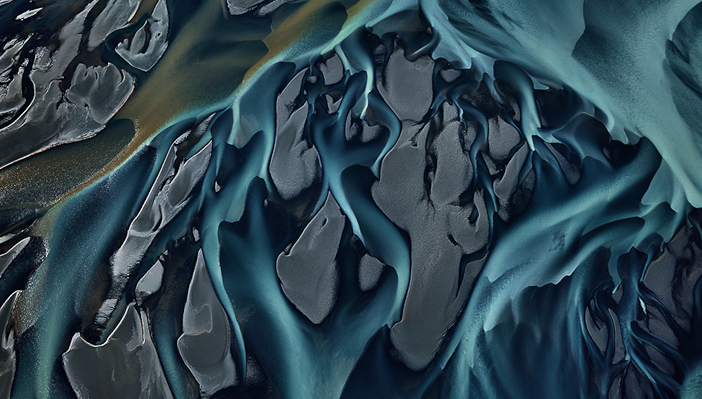 Shot in stunning 5K ultra high-definition video and full of soaring aerial perspectives, this film shows water as a terraforming element, as well as the magnitude of our need and use. In Watermark, the viewer is immersed in a magnificent force of nature that we all too often take for granted – until it’s gone. “Documentary is based on reality, which is unpredictable, so you’re never exactly sure of what you’re going to get,” said Burtynsky in an interview with Mountain Life Ontario last year. “It’s planning, and it’s chance, because you have to meet the people. You have to get the right conditions for the visuals, and all those things impact on what the film ultimately ends up being. It is an organic process, it’s not linear, I’m not running off a script … that’s how most documentaries are: you begin to wrap your head and arms around a bunch of ideas and subjects, and threads, and you follow them to their conclusions and all the things they show you and tell you. Check Watermark showtimes and venues here. Thjorsa River, Iceland, 2012. Photo by Edward Burtynsky.